Anti-wrinkle injections Botox® is a simple non-surgical procedure that relaxes the muscles of your face to smooth deep, persistent lines between eye brows, on the forehead and around eyes (Crow's feet). One 10-minute treatment – a few tiny injections will keep muscles relaxed for up to 4 month. Dermal fillers used to treat wrinkles are bio-stimulants of the body’s own collagen and consist of non-animal based hyaluronic acid which is a substance that is naturally present in living cells. Filler injected into the skin in small amounts with a very fine needle and have a lasting result of up to 9-12 months and even longer after subsequent treatments. Hyaluronic acid can be used as wrinkle filler, fold filler (Nasolabial groove) or for lip augmentation. The amount of dermal filler needed is decided by the specialist during the consultation and varies from person to person depending on the depth of the line or wrinkle. As a general guide lip treatments require approximately 1 ml of dermal filler, and nose to mouth wrinkles require approximately 2 ml. The treatments are carried out by qualified Aesthetic Practitioners with medical and dental background with years of experience of working for NHS and private clinics in London. 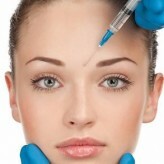 They provide a comprehensive aftercare regime following your Botox® and Dermal Fillers treatments. "We aim to provide a great patient care and quality treatments to all our customers"